3. 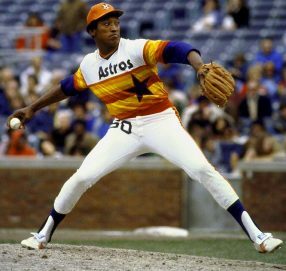 J.R. Richard – he spent his career with the Houston Astros, and suffered a stroke in 1980 which shortened that career. But between 1976 and 1979, he was one of the most dominant pitchers in the majors. He never had a reputation as a head hunter like Drysdale or Gibson – his intimidation status came from his imposing 6’8″, 220 lb. 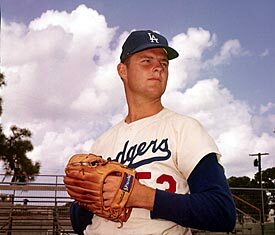 frame and his tremendous velocity (his fastball was routinely clocked above 100 MPH and his slider at 98). On top of that velocity was the fact that Richard had control problems. Most hitters can can handle a pitcher who throws hard but get nervous when even that pitcher has no idea where the ball is going. 4. Randy Johnson – the only left-hander on this list, “The Big Unit” was intimidating, like Richard, because of his size (6’10”) and the velocity of his pitches. He had a long 22-year career, pitched 2 no-hitters and won 5 Cy Young awards, so he was much more than just a hard thrower. He was intimidating but not in the same league of “meanness” as some other hurlers from the 1960s. 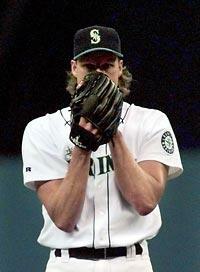 Still, he is one of the all-time scariest pitchers for hitters to face. An unforgettable baseball moment is when Johnson, in an All Star game, threw a pitch behind and over the head of former Phillie John Kruk. 5. Nolan Ryan – like Johnson, Ryan had longevity, pitching 27 seasons. Like Gibson and Drysdale, he was a throwback to the early intimidators, actually starting his career in 1966. Like Richard, he had control problems. His career won/loss record was barely over .500, but he holds the major league records for both career strikeouts and no-hitters (7). He also walked more batters than any other pitcher. He pitched in four different decades, and maintained his velocity and intimidating style into his 40s. Welcome back, Rayonsports! Missed your blogs. 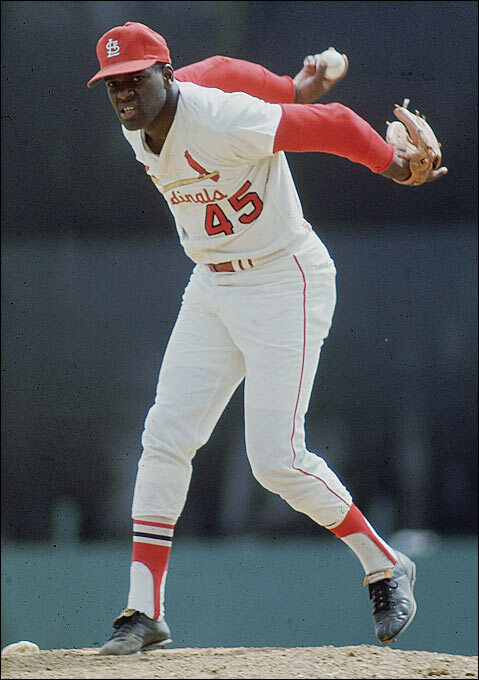 Thank you for placing Bob Gibson as number 1 of all the most intimidating pitchers of all time. He was my idol and I loved everything about him. 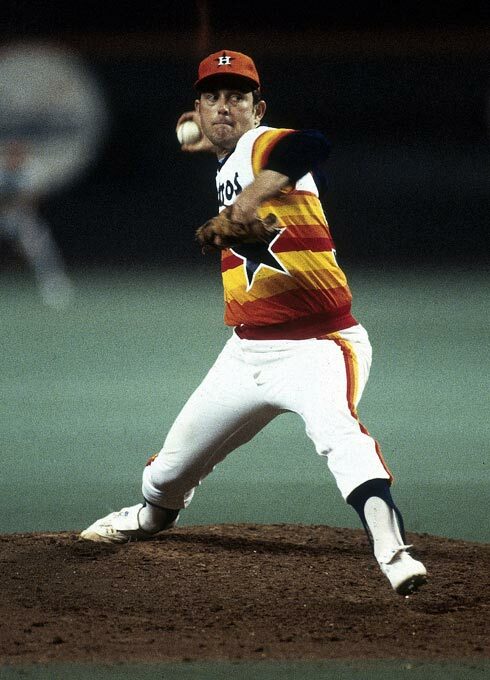 I also felt Nolan Ryan was another very classy and respected pitcher than deserved credit. I don’t think you missed anyone other than the one’s you chose as the “Five Most Intimidating Pitchers Of All Time” Thanks again.